Her passion for ATS® and her desire to share it with others lead her to complete her General Skills certification in 2010 and 2015, and her Teacher Training in 2012, when she also became a Sister Studio. Since then, she has continued her education attending workshops each year, since she believes in life-long learning. She is honored to be an Advanced Teacher Training graduate (2016) and certified SSCE instructor, and she cannot wait to dance with you! Book your face-to-face or online private or semi-private lessons with her today! Virginia teaches ATS® on Sundays at Windfall Dancers and she is also available for privates (in person and online) and workshops. She is certified to offer Sister Studio Continuing Education Credits (SSCE). Dark Side Tribal teaches at Windfall Dancers on Sundays. Virginia is originally from Spain, but she moved to the U.S. in 2001, finally settling down in Indiana. 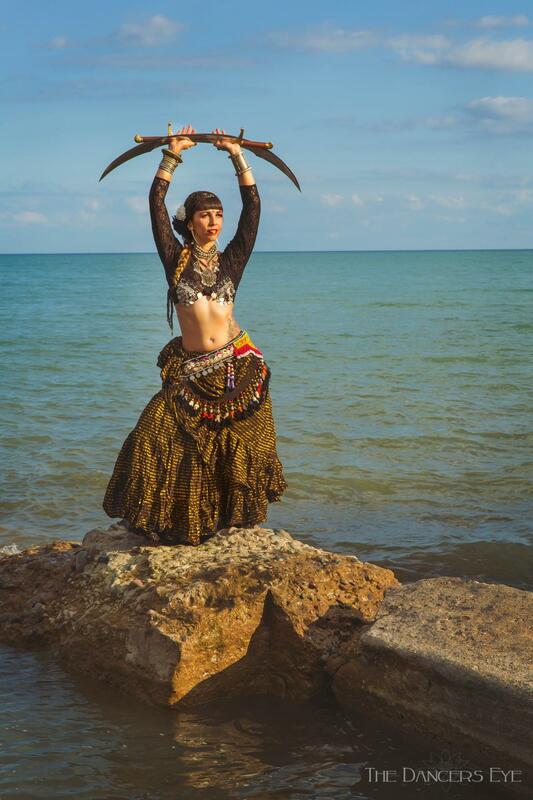 Her belly dance journey began in Ohio in 2005. 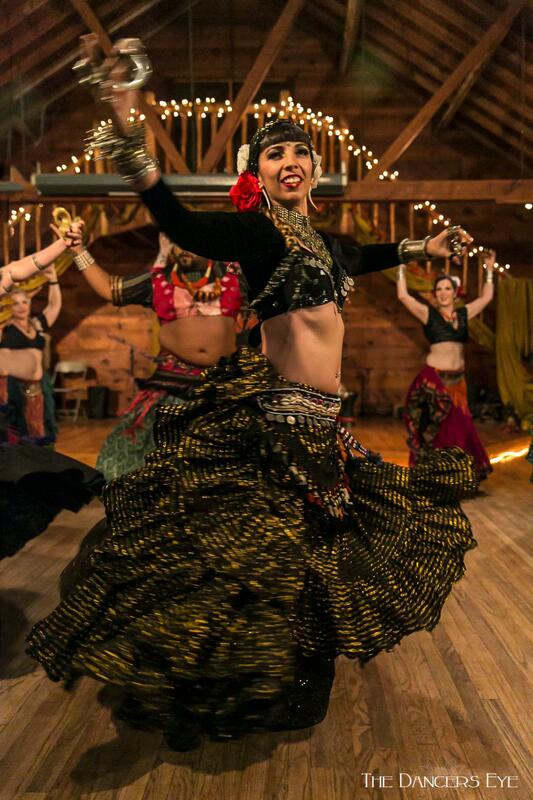 While taking cabaret classes, she met a girl wearing a tassel belt and she was in awe. 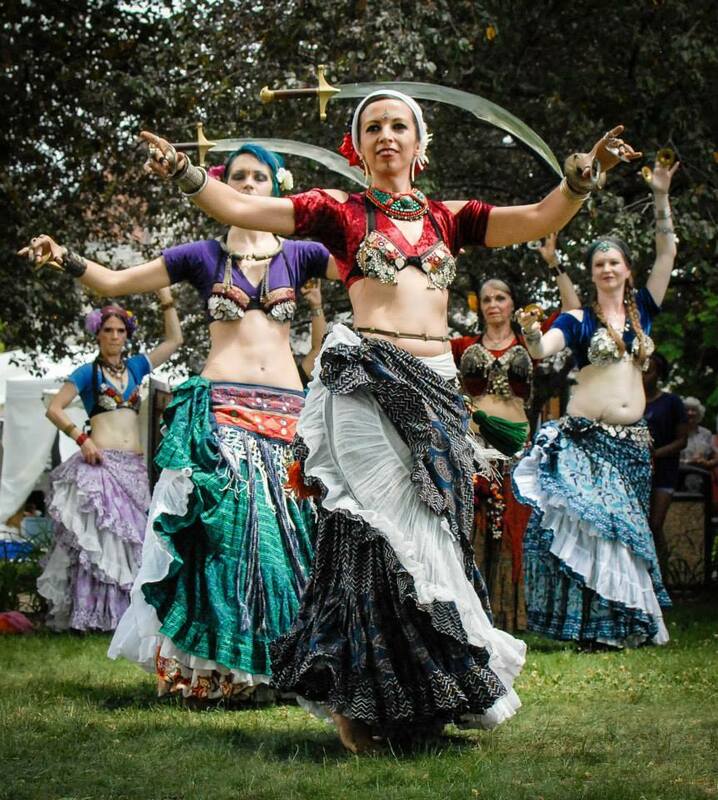 She introduced her to the term “tribal”, and she immediately searched the web and found Fat Chance Belly Dance®. She was hooked. She started taking a 3-hour round trip once a week to take classes with Angie Never of Sacred Shimmy in Columbus and then studied with Ann Shaffer of Dark Side Tribal when she moved to Bloomington, eventually becoming a troupe member and then the troupe's director.